Sound Avenue celebrates their milestone 100th release with a new single from label boss Madloch and frequent studio partner Subnode. Founded in 2011 by the Belgian DJ and producer, Sound Avenue has carefully forged a path to multiple musical dimensions. As the label has grown so too has it's ethos, blurring the boundaries between genres, now sitting in the creative space between house and techno. With recent roster additions Charles Webster, Hermanez, Nordfold and Budakid and Stelios Vassiloudis, the label has reached a unique point in its sonic evolution, one which continues on their much anticipated 100th release. 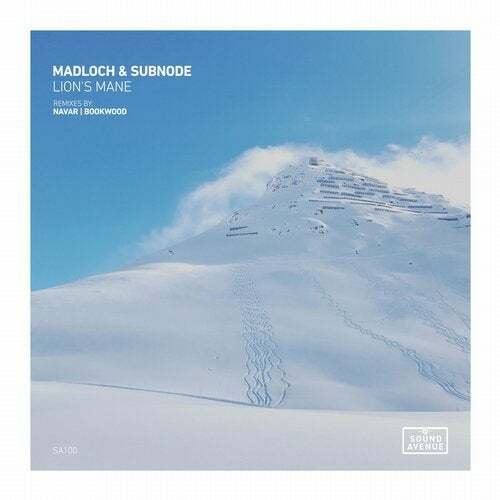 Being paired since the summer of 2018, the creative synergy between Madloch and Subnode has continued to grow. Now presenting their most anticipated single to date, the Belgian duo unveil 'Lion's Mane' alongside remixes from Navar and Bookwood. Madloch and Subnode's affinity for redolent storyboarding has never been more evident than on 'Lion's Mane'. Backed by a hypno-groove and sultry rhythmic structures, it's a creation that flows through a myriad of free form motifs. Hugely compelling throughout, ghostly vocal fragments and astral effects converge for moments of sonic integrity, while timely synth swells and emerging atmospheres add to its mystical charm. Percussive flurries then come in waves, gently evolving across a foggy, atmospheric backdrop, before further cosmic creativities put a cap on this meditative gem. The first interpretation of 'Lion's Mane' is provided by Navar who returns to the label for his second appearance. Through releasing material on Guy J's Lost and Found Records and Canadian behemoth microCastle, the Dutch artist emerged in 2014, firmly establishing himself in the world of deep melodic house. His unique approach to composition is highly regarded and continues to be a favourite of the world's largest DJs, including Hernan Cattaneo and Nick Warren. Always a creative remixer, Navar expands on the smooth, organic qualities of the original with a near eleven minute sonic spectacle. Possessing more of a dramatic undercurrent, it's bulbous bass tones move through moments of emotional energy, while exotic percussion and freeform harmonics create a compelling canopy of sound. Kaleidoscopic motifs continue to advance the narrative, effortlessly transferring energy into a second act which transcends time and space. The second and final interpretation of 'Lion's Mane' is provided by Bookwood who makes his label debut here. The German artist has found a home on Magician On Duty, SOSO and URSL, where his unique take on deep house and electronica has flourished. It's this unique fusion which has made him of the deep house scenes most promising talents. Now following a well received remix for Rural Records, Bookwood steps up to Sound Avenue with a heartfelt take on 'Lion's Mane'. The vocal elements work wonders here, utilized perfectly for maximum emotional response, while a gentler, more indistinct backdrop adds mystery and intrigue across the six minute journey. A poignant piano theme sits wonderfully over a trail of soulful motifs, as a perfectly sculpted groove does just enough to command your attention but still resonates on warm and inviting frequency. A stunning interpretation from Bookwood, capping off what is a milestone release for Sound Avenue. A label never content with resting on their laurels, instead choosing to evolve and trail blaze new paths in the electronic underground.